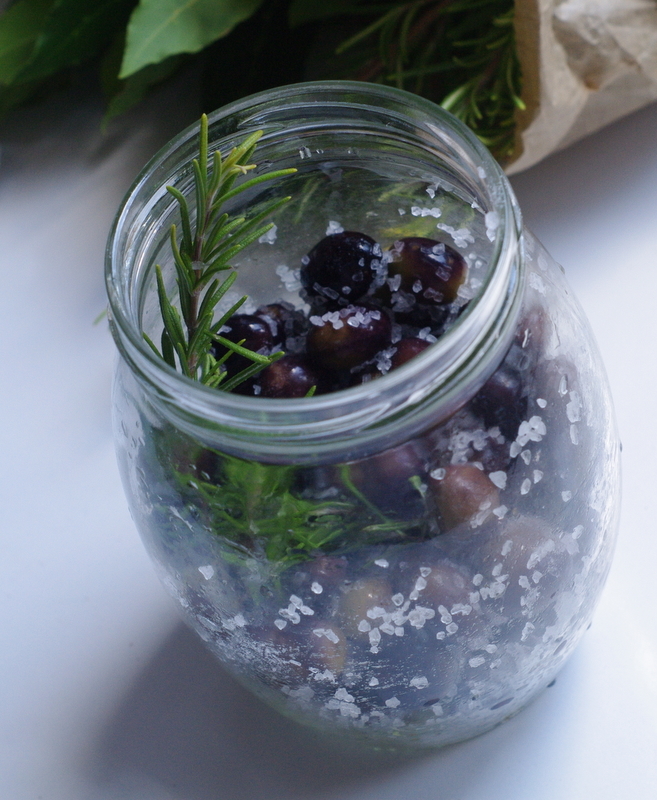 Even though we have such a small crop this year I’m still curing the olives and hoping they’ll be ready to eat by the end of the year. I’ve soaked them in spring water for a few days, changing the water every day, and now they’re ready to be salted in a jar with herbs and coarse sea salt. I’ll stir them once in a while and drain off any liquid but otherwise leave them alone in a jar covered with a cloth until I can tell by tasting them that they are no longer bitter. I’ll be away for a few days but I’ll be back in time to stir the olives and catch up with blogs and comments. Te already look gorgeous – I´ll be doing mine when I get back from the UK. How long do they take this way? Depending on how bitter they are to start with they take about a month to six weeks. I taste them to see how they’re getting on, then if they’re OK I rinse them and store them in oil until we want to eat them.